Spawned by the randomness of the general board, here are the threads where you can do fun, pointless things. You may test the forum's features and make signature or avatar requests. Posts made here do not go towards your post count. Hence, the longest signature on CAA!! ''Darkness cannot cover darkness; only light can do that. Hate cannot cover hate; only love can. ''-Martin Luther King Jr. Banned for questioning my authority. I Am Mullet Death, Undisputed Ruler of the Mole and Crab People! Fear me! Do you see this gorgeous creature? That graceful profile. Those striking eyes. 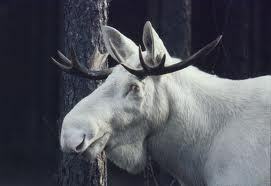 Behold the albino moose. A wise man once said, "you can pick your friends, and you can pick your nose. But you can't pick your friend's nose." "Never interrupt your enemy when he is making a mistake. "Why can't EVERYTHING be rocket propelled?!" ^Banned for not finding a more reliable source. ^banned for not being a reliable source. ^ banned for not outsourcing reliable sources. ^ Banned for beating a dead horse. ^Banned for not having an avatar of a crustacean playing the electric tuba. Location: Between the past and the future. ^banned for complaining about drama. ^Banned for sass and boyish angst. ^Banned for improper CPU overclocking. Location: Staring at you from your window outside. You have nice tastes in decor. Derek_Is_Me is banned for not finding me sooner himself! Mullet Death banned on account of .gif in sig. MomentOfInertia is banned because my tongue's still not working 100% after having my wisdom teeth cut out more than a month ago. Riggidig is banned because I am not acquainted with him. TheAlbinoMoose is banned because s/he's in my kitchen. Get out of there, I just cleaned it. Avatar done by unknown artist. Sundown is banned for posting three days ago... And for quoting Jack London.